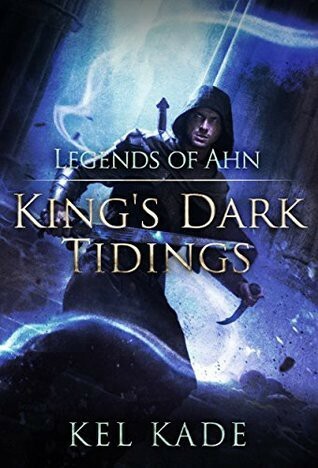 “Legends of Ahn”, written by Kel Kade, is latest book (number 4) in the King’s Dark Tidings series. It continues the story of Rezkin who is on his quest to relieve his homeland, Ashai, from the depredations of its mad king, Caydean. Rezkin saved his friends from the attack on the tournament (in the earlier book) and has to find a safe harbor for them to recuperate and recover. Legends of Ahn is a decent fantasy read. It takes what has worked before in the series and continues with the formula. So, fans of Rezkin will not be disappointed. Newcomers to the series will be better off reading the first book and then deciding whether to continue or not. Since this book has the same structure as the earlier books, it shares their strengths and weaknesses. Kel Kade’s writing is good and the pacing is excellent. The plot is standard and the character development is fine. The whole series depends on Rezkin and his superhero like abilities. This reliance on Rezkin is a double-edged sword unfortunately. He is a superhero who is awesome at everything, except empathy. So, the reader is forced to make a choice. The reader has to either disregard the fact that Rezkin does everything brilliantly and enjoy the book or find the character unbelievable, which makes the book unreadable. Personally, I seem to have been in the first camp for the first three books while I started disliking it in this one. I suppose the novelty of the character wore off with the passage of time. If I were to take Rezkin out of the equation, then Legends of Ahn becomes an average fantasy with a standard plot. Originally published at Digital Amrit .